Phu Quoc known as Koh Tral in Khmer, is the largest island in Vietnam located in the Gulf of Thailand and is part of the Kien Giang province. The most popular mode of transport to reach this island is by Phu Quoc express ferry. A few ferry operators are available providing services to-and-fro between the mainland and the island and Superdong Fast Ferry is one of the popular choices. Superdong Ferry that provides excellent services for travellers and locals are now available for online booking through Easybook. Superdong Ferry departs from the Rach Gia port ferry terminal and arrives in Bai Vong Port on Phu Quoc island with a return route provided from Bai Vong Port to Rach Gia port daily. The Superdong Ferry operator also offers daily departures from Ha Tien Port to Bai Vong Port in Phu Quoc Island. SuperDong fast ferry is a traveller’s best choice as it has timely departure and arrival schedule as well as being fast and comfortable. Superdong ferry schedule is available for viewing before placing the online purchase on Easybook with tickets at affordable prices. 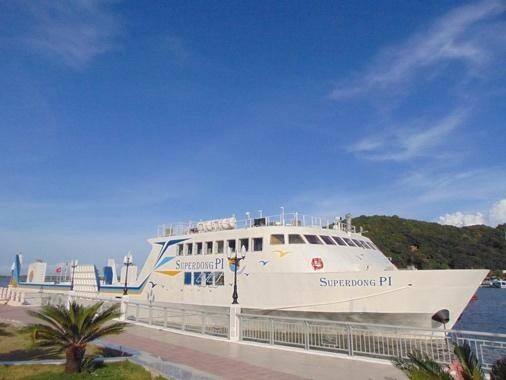 Superdong Ferry company has a fleet of twelve brand new high-speed ferries equipped with modern interior and keeping passengers' comfort in mind, all cabins are equipped with air-conditioning systems to help them stay cool and relaxed throughout the journey. 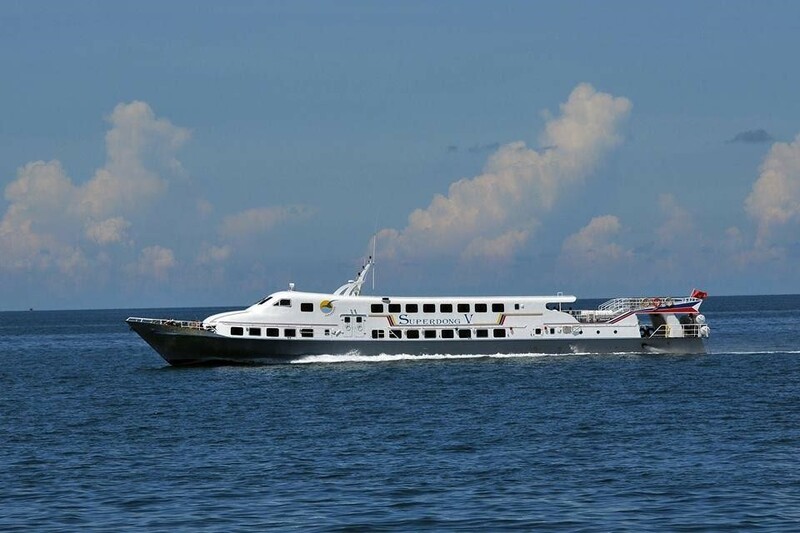 This Phu Quoc express ferry service is fast and the whole journey will take approximately 2.5 hours. There is an open low deck on the Superdong Fast Ferry as well for passengers to enjoy the sea breeze and sunshine as it speeds through the water. Superdong ferry tickets are now available for online booking on Easybook through a few simple steps. As a transportation booking platform, we offer SuperDong ferry tickets through advanced online booking. Travelers can review the offered ferry schedules online with the available price list after selecting the preferred pick-up and drop-off points, as well as the travel date before making the online booking safely. Get your Superdong Ferry ticket online today and kick start your holiday at Phu Quoc Island in Vietnam!